Marketers across the globe are focused on two things – one is to drive conversions of visitors to leads, and secondly, to convert these leads into loyal customers. Getting traffic to your website is one part, converting these visitors into leads, and then into customers is a different challenge altogether. 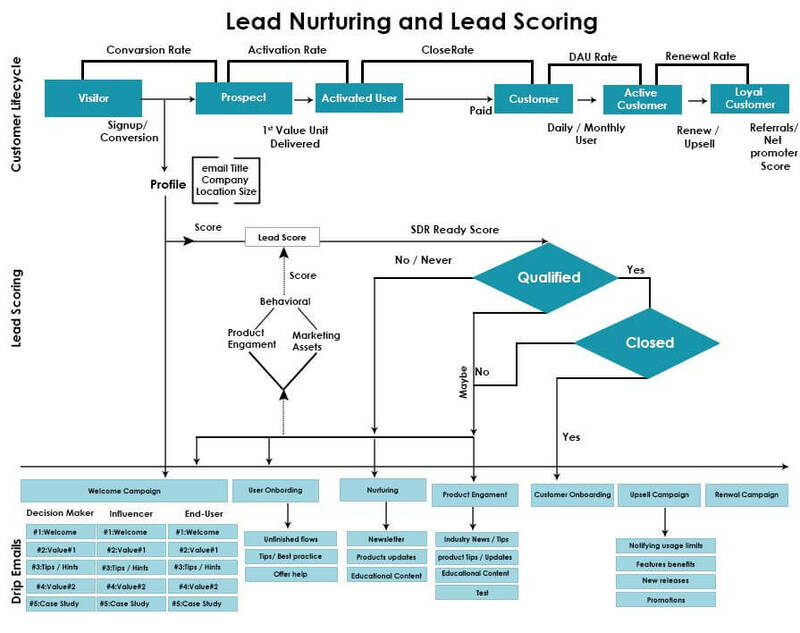 Inbound marketing IS about getting found by potential leads and organically converting into leads. That doesn’t mean there is nothing a marketer like you can do. Infact, capturing lead information can be made interactive and convincing with a technique more popularly known as Progressive Profiling. Businesses are in constant pursuit of improving brand-user engagement and boosting conversion rates. To that end, a ton of great content is produced to stimulate interest in a brand and attract potential customers. 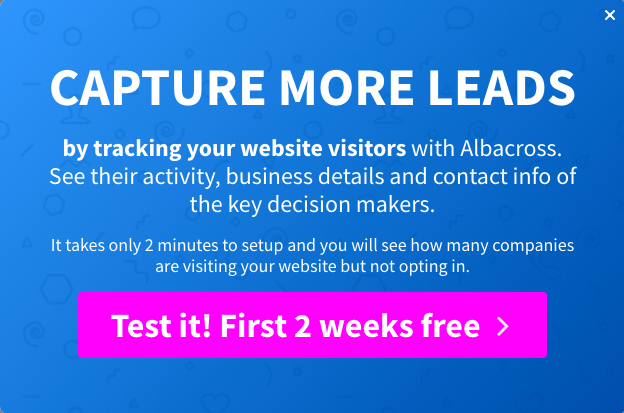 Once they land on your website, the logical first step is to gather enough information about your new visitors, not just to make them a part of your sales and marketing funnel but also to get to know them better for improved conversion chances. And that’s where things get tricky. Marketers are afraid to overwhelm their new users with questions and queries. This is the primary reason why marketers now opt to ask lesser questions, or in other words, ask what matters. It is not any random form but a highly personalized lead capturing process. Marketers realize the importance of having a proper user persona in place, so that their marketing efforts are channeled towards the relevant audience that is actively looking for the kind of product being sold and is willing to pay for it, they also understand that the same audience isn’t very receptive to answering questions, particularly on the first contact. In comes, Progressive Profiling. With Progressive Profiling, you can customize the form fields your website visitors see, based on the form fields they’ve already filled out earlier. I could either fill up the form, i.e. create an account, or simply sign-up with Google. It had only a few important fields to fill up incase I wanted to set up an account. I had the option of skipping the form altogether and get going through the social signup option. In the marketing lexicon, the users who have just discovered your brand or blog are ToFu, short for Top of the Funnel Users. ToFu is the first brand-customer touchpoint. A ToFu lead would not be interested in answering too many questions or providing contact details, considering they have just discovered you and are focussed on finding out whether your website is worth sticking around. Lesser the number of fields in a form, the more likely a user is to fill it out. Marketers know that a first-time user is focussed on gathering information from a given web page and is the least bit interested in giving away contact details or answering questions. Progressive profiling is an approach that highlights how data provided by a given prospect is directly proportional to the engagement and trust-levels between the brand and that prospect. This profiling focuses on the ToFu leads but gradually works its magic while a prospect moves through all the 3 different stages in a sales funnel – ToFu stage (Top of the Funnel), MoFu (Middle of the Funnel when a lead converts from the ToFu stage) and BoFu (when you are continually engaging your lead through MoFu content to nudge them towards becoming a paying customer). All through this lifecycle, the more information you feed into the system, the better are the conversion chances. Going back to progressive profiling addressing the ToFu needs, if your website presents the content that educates the new user and addresses their pain points, nudging them to revisit, that’s when the needle starts to move towards your marketing goals. Aritic PinPoint forms are smart and have numerous field options which makes form building easy. It offers dynamic content on forms so that you can create multiple versions of one form based on user behavior, lead stages, and events. 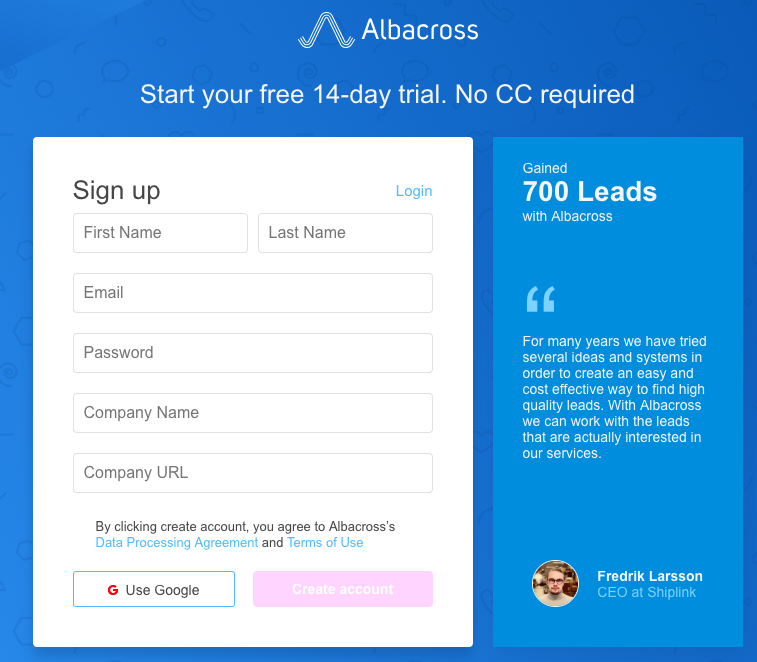 Throughout your lead’s lifecycle, progressive forms act as a bridge, connecting you with your leads better at each stage and helping in activating your leads from one marketing stage to another. Aritic PinPoint lets you create a form and in settings, you can simply turn-on behavior-based form fields to get your progressive profiling in place. When you turn on the behavior-based monitoring, you will need to define the fields you want to show at each juncture and then go ahead and make your form live. When we turn on autofill, if the visitor tries to fill the form for the second or third time, all the information that he/she had entered previously will be shown. Take a look at how Progressive Profiling can be done within Aritic PinPoint. As users start to spend more time on your website and also revisit it to learn more about your products and services, they become more receptive to sharing the specific details with you, especially when you are offering incentives like tip sheets, whitepapers or ebooks in exchange of those details. At this stage, the users can be expected to respond to longer forms that require not just more typing but also giving away information that they may not be comfortable sharing with a just discovered business. Therefore, the forms or surveys can have questions requiring more specific information, such as industry, job title, expectations from a product, etc. For instance, we ask only for name, business email and contact number to our first-time visitors. We want them to visit our website again and we want to make way for that. While search engines can be one way, we also add a small checkbox at the end of our forms to opt-in for email newsletters and updates. If our first-time visitors opt for emails, we immediately add them to our email marketing funnel. These visitors are now our leads. It may so happen that the visitor visits your website directly after the first asset download. In that case, you can urge for a demo scheduling or a tour of your product and ask them to fill in some more details like job profile, job designation, company location. This consideration stage covers more bases than the other two stages, primarily because leads stay in this stage longer. After they have shortlisted the different service providers, they spend a decent amount of time evaluating the different options So after you collect specific details to qualify leads based on parameters like industry, job title, etc., you can ask for information that helps in deeper segmentation, like company name, company customers, size, etc. 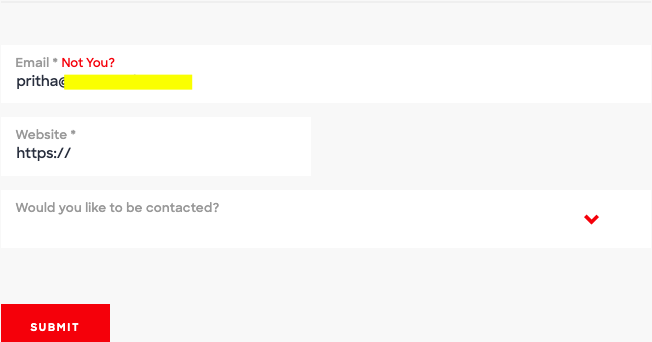 For instance, when our leads visit our webpages on account-based marketing or pricing page, we tend to show up a quick form asking for company details, size of the company, and whether they’d like to talk to an executive about either ABM or pricing details (depending on which page they are in). 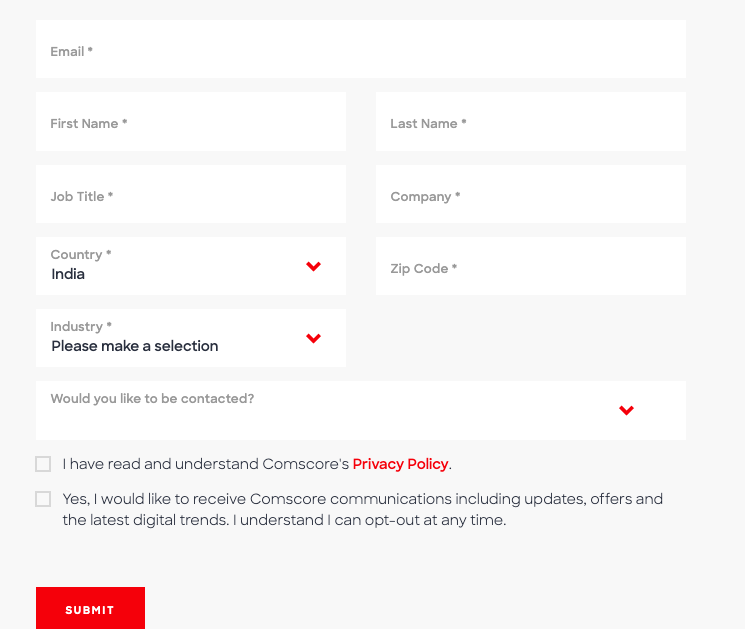 Also, the form fields depending on what information we have of that lead. In short, it is dynamic content on forms that help us create multiple versions of one form. Then comes the decision stage. At this point, the leads start to ask for information pertaining to your product features and pricing or even ask for a product demo. You can get them to tell them about the scope of their expectations, their budget range, what are they looking for in a plan or whether they want a custom plan to be created for them, etc. The sales team highly appreciates such leads because they have been well nurtured for conversion. Essentially, progressive profiling serves as a filter at each stage of customer-brand interaction that keeps you from having unnecessary forms or fields that may be redundant in context to a specific point in the user journey. Below is a sample of the flow of progressive profiling. What happened when we started using Progressive Profiling? We started digging out data about our leads – from their website behavior pattern to email engagement rates. We observed the social media engagements of our leads and also analyzed our lead sources. We turned on our behavior-based forms to nurture our leads at every juncture. We included small forms at each stage based on how they were behaving on Aritic PinPoint website, blogs, and social media pages. After a month of continuously tracking and iterating our forms, we discovered a 20% increase in our overall conversion rate. With access to more data, the marketing campaigns, messaging and segmentation were more focussed. When done right, progressive profiling helped in evolving the buyer personas over time, based on the changing needs, market environment, and response to the messaging. Because a rapport had been developed between the lead and the brand already, the leads became more receptive to the emails or other communications messages. Progressive profiling put our marketers in a position wherein they could touch base with the leads when they were closer to making the purchasing decision, and customize their messaging accordingly. Eventually, this led to our 20% conversion rate in 30-days. Progressive profiling puts data-based decision making right at the front and center of lead capturing and nurturing. Marketers can ditch the traditional form of marketing, where strategies are based on instincts and supposed expertise, for a method where knowledge about a given customer is extracted from robust data sets. Progressive profiling helped us nurture our leads effectively, so much so that the content being put out and promoted drew in the right audience, resonated with their needs, and triggered faster conversions.